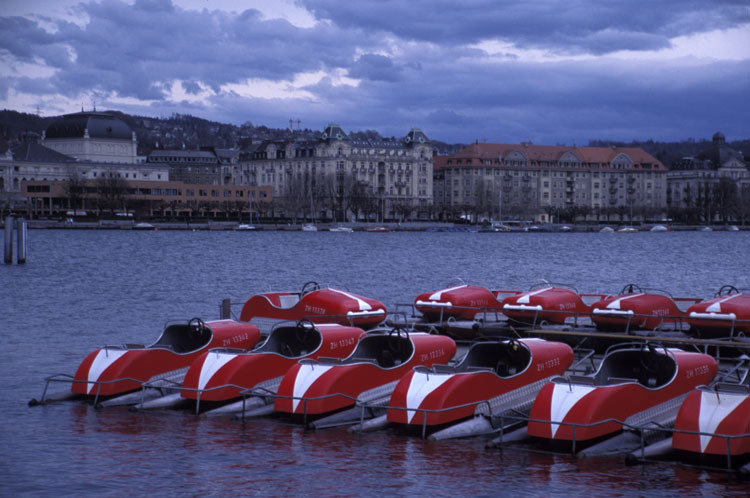 These brightly colored boats would be available for rent to tourists during the summer months. When I was there they were just the playground of a few swans and ducks, despite the owner's best efforts (nets, wires, gates) to keep them off. A few historic Zurich buildings are visible in the background. The Opera House is the building on the left. I went to a performance of the ballet Daphne et Chloe at the Opera House before I left for home.